Perfect decoration for Halloween. 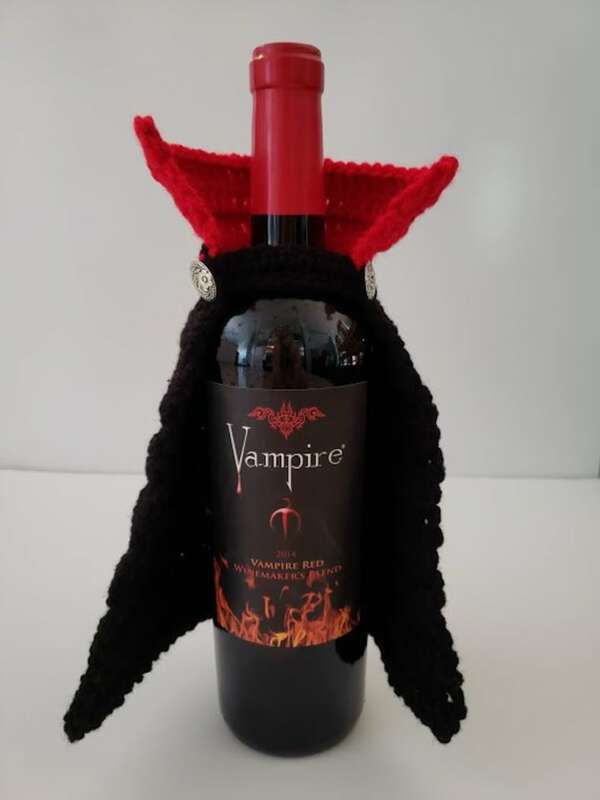 This crochet wine bottle cover / cape will add to your Halloween decorations. Cape only...Wine and bottle not included.